A DAF is a centralized vehicle for charitable giving that makes it easy for donors to dedicate funds to support their favorite nonprofit organization. It also provides an operationally convenient and tax-efficient method for donors to manage their charitable giving. You should consult with your financial or investment adviser about setting up a DAF. With a DAF, charitably inclined individuals, families, and businesses make an irrevocable gift to a public charity that sponsors a donor-advised fund program, and take an immediate tax deduction. Donors can then recommend grants over time to Intaction as a IRS-qualified 501(c)(3) public charity. 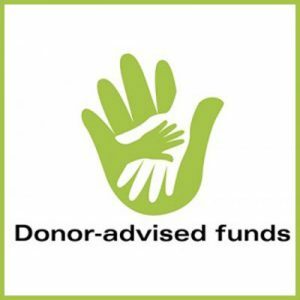 DAFs also allow donors to approach their charitable giving thoughtfully by involving other family members or colleagues in their philanthropic decisions. Most DAFs accept donations of long-term appreciated securities and other assets, and donors can advise how the funds are invested, which could potentially allow tax-free growth, and could result in more money for your charity. You can contact Intaction for further information about directing a grant to Intaction, or you can use DAF Direct if your DAF is one of the listed organizations.